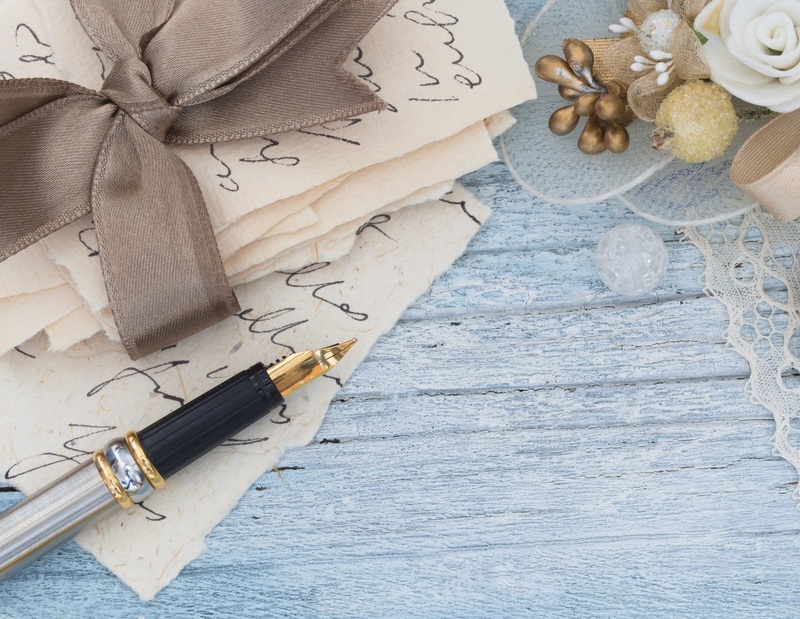 Can Letter Writing Make You a Better Author? Letter writing is somewhat of a lost art these days, no? What with email, FB messaging, texting, etc., we’ve gotten away from the actual writing of longer missives to one another. And while a case can be made that those are part and parcel of the same thing, in essence, they’re not. Remember the days when you actually sat down and hand wrote letters to friends and family? Oh, the days of sending a post, and waiting until a response arrived. The joy upon seeing the person’s return address on the envelope! It wasn’t so long ago, really. The thought we put into those letters. We crafted them with care, wanting to make certain we expressed our true thoughts and feelings. Striving to communicate to the best of our abilities. Trying to make sure the recipient truly understood what we meant. That’s tougher to do these days with all the communication devices and avenues with which we now communicate. Chiefly because, they are all so instant. So, we rarely take the time to make sure the intent is crystal clear. But if we take that time, take that care, letter writing can still be what it once was. And what a great way to practice writing! Especially since the only sure-fire remedy for how to be a better writer is, of course, to write. I often give my authors prescriptions to practice in entirely different genres. Especially when taking a break from what they usually write. I.e., if you primarily write novels, try your hand at essays. If you write non-fiction, pen a short story during your time off. Fire off a letter to the editor of any publication you peruse. Or sit down and write a letter to someone you love. It’s that old left brain/right brain thing, where you’re forcing yourself out of your comfort zone, into the world of creating and learning at the same time. Visual: Seeing what is on the paper in front of you, in a different manner. Motor: You must use your fine motor skills to actually put the pen to paper and fashion the letters in order to form words. Cognitive: To remember the shapes of the letters requires a different sort of feedback from the brain. The old-fashioned way of letter writing produces added benefits as well. When you sit down and write with no “send” function attached, it frees you to go deeper. To weigh your words. To take the extra time to make sure you’re saying what you mean to be saying. How often do we hear these days: People often misunderstand texts and emails? You don’t get the inflection in the other person’s voice. Two lines in a text can easily convey the wrong message. People don’t say what they mean. All can be true. And often are. While I preach, “Tighten, tighten, tighten,” sometimes you just need more than 140 characters to get your point effectively across. It’s a fun exercise to actually sit down and hand write someone a letter. How freeing it is! Your creativity runs with it, and what comes onto the page is often quite surprising. Emotions arise that you didn’t even know you had. And as you go, words and phrases pop up that you see can be misperceived. So, go write someone a letter. You can send one to me! I still love seeing them in the mailbox. This is super helpful! I have been writing for over 10 years, but feel like sometimes I need a helping hand. Even after that long! Great post. One thing I know for true, Renee–the writer gene has a flip side. On it lives doubt! Their just two sides to the coin. I love writing. I write for my blog, I have a book of fiction about to be published and write letters and cards out on a regular basis. I think people would love to receive letters and cards because it’s not bad news coming in the mail. I think writing but in different ways has made me a better writer. I love that, Joie! Isn’t it true how writing things different from what you normally do makes you a better writer! Sending you huge good luck for your novel coming out!